The secrecy surrounding the title of Avengers 4 and the upcoming Infinity War has been pretty intense. It has been reported that the cast has not even seen the final cut of the Infinity War and will have to wait until the world premiere in Los Angeles to see it for the first time. 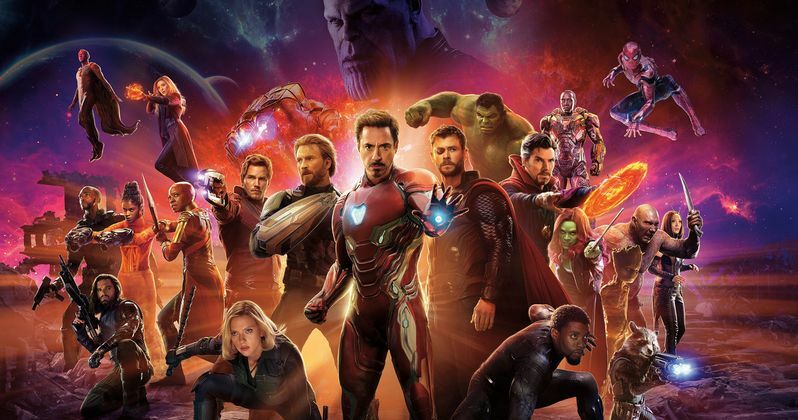 Additionally, to keep spoilers from leaking about the movie, the official title for Avengers 4 has been kept a secret from the cast as well, who just simply refer to it as Avengers 4. Even with Infinity War coming out next week, there's still a lot of mystery surrounding the movie, which is both exciting for fans and excruciating at the same time. The title for the next installment is being kept under wraps for the time being to keep from spoiling the events of Infinity War. In a recent interview, Scarlet Witch actress Elizabeth Olson revealed that not even the cast knows the name of Avengers 4. She had this to say. "Someone just told us that they were going to release it after this movie. When are they releasing the name? I have no idea what it is. I've been calling it Avengers 4." It makes sense that the cast doesn't even know the real title of Avengers 4. They were kept in the dark while filming as well and were never given full scripts to prevent any leaks from making their way online. That level of secrecy that the Russo Brothers and Marvel are employing is a breath of fresh air and even keeps the cast invested in the movie since they're not even sure how everything is going to pan out in the end. During the screening of the very first footage from Infinity War at the D23 Expo and San Diego Comic Con last summer, it was the first time that the cast had seen any footage and they were able to share that excitement with the Marvel fans. The same thing can be said when the actors see the movie for the first time next Monday at the world premiere. Fans will be seeing the movie for the first time just a few short days later, keeping the excitement level up for everybody involved. As for the title of Avengers 4, the Russo Brothers have revealed that they won't let the title out for quite some time, which makes perfect sense. Not everybody is going to be able to drop everything and go see Infinity War in its opening weekend or maybe not even in the theaters at all. So, with a title that is going to contain spoilers, it's best that they wait as long as they possibly can. Additionally, it's great marketing for Avengers 4, keeping the title a mystery that sparks more talk online. You can check out the rest of the interview with Elizabeth Olson over at CinemaBlend.